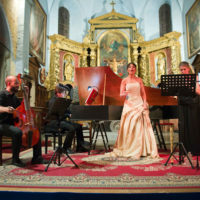 From July 17 to 24, 2018, the Festival de Musique Ancienne de Callas took music lovers on the paths of the world of ancient music through superb works performed by prestigious ensembles. 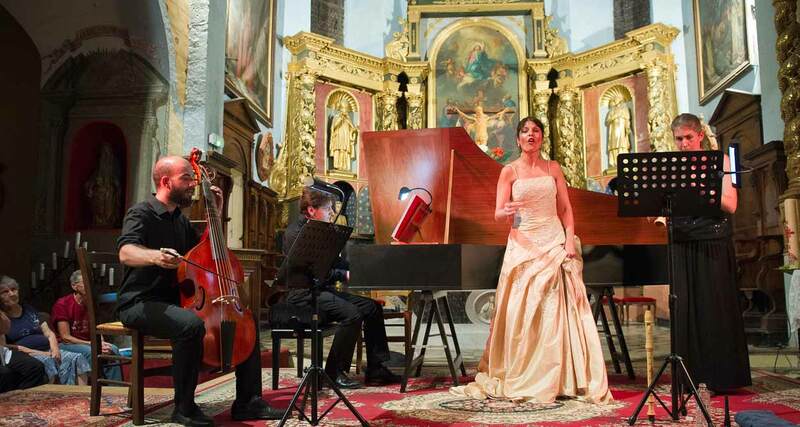 The Festival de Musique Ancienne de Callas – 28th edition – chaired by Françoise Barre, invited the music lovers to travel the world via a magnificent program taking us to Cuba, Armenia, Ireland, Israel to New York, to return in the courts of Europe with oriental accents. 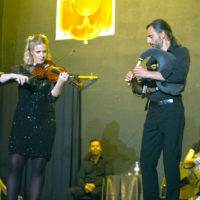 Mix of cultures and musical crossbreeds for a Festival of Old Music played on period instruments. 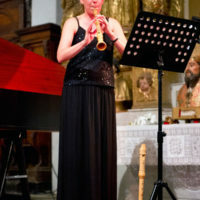 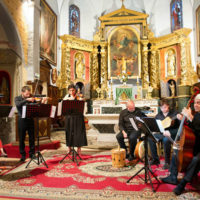 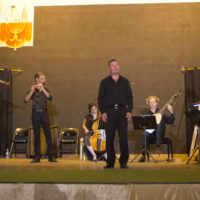 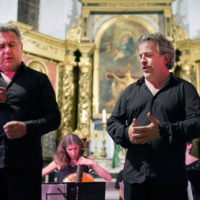 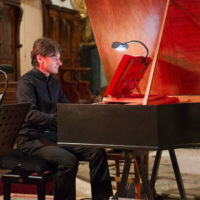 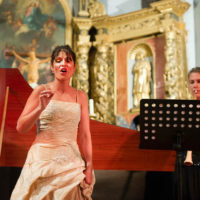 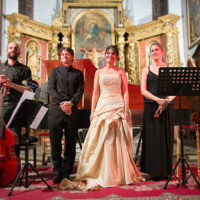 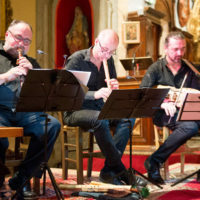 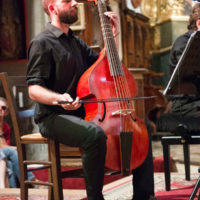 Musicians from prestigious international ensembles have thrilled the public under the vaults of the churches of Callas and the surrounding villages of Montferrat and Châteaudouble. 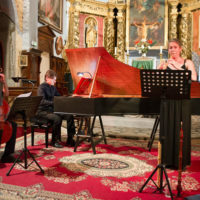 Between sea and mountains, in the heart of the Var and Provence, the charming village of Callas offers its cascading houses in the light of the Midi, loved by the poets and painters. 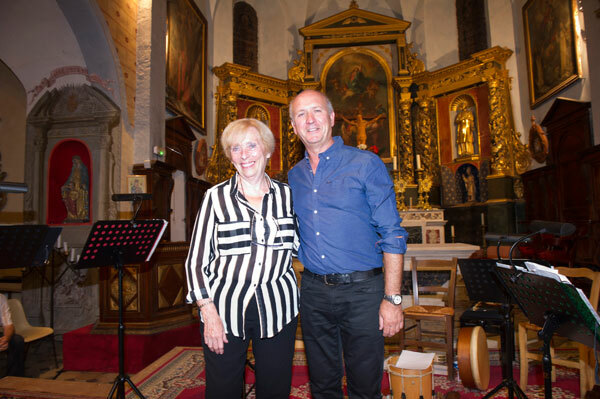 For 28 years, the village has been delivering in July its charms, its gastronomy and its privileged quality of life to the music lovers of the Festival de Musique Ancienne de Callas, chaired by Mrs Françoise Barre, also Artistic Director. 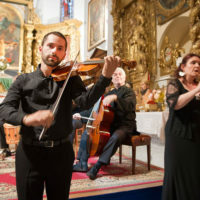 Through the diversity, quality and requirement of the selected concerts, the Festival fills up the churches at all concerts and the public once again congratulated Françoise Barre and her team for their artistic choices. 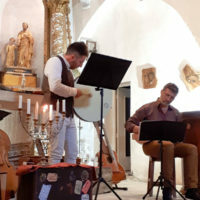 The works were performed at the Church of Notre Dame de l’Assomption in Callas but also in the churches of the surrounding villages, this year in the Church N. D. de L’Annonciation of Châteaudouble and the cultural center of Montferrat. 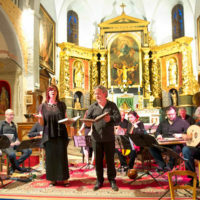 Places of worship, the churches of Dracénie become places of culture, where the oratorios and the music, profane or sacred, explore a vast repertoire of baroque works, written from the Renaissance to the classical period, under the Gothic vaults where music and songs enchant without microphone, with baroque period instruments, in the very conditions of their creation in the seventeenth and eighteenth centuries. 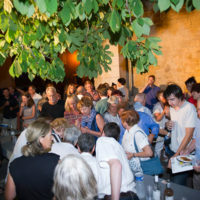 The old music joins the traditions of conviviality of Provence during intermissions, where the public likes to cool off and to exchange impressions and musical emotions while tasting a delicious Rosé from the local terroir or a glass of Champagne. 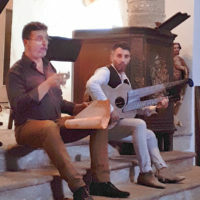 Opening of the Festival de Musique Ancienne de Callas, on Sunday 17 July in the Church N.-D. de l’Assomption of Callas, the program reflected the sweetness and tenderness of the Christmas holidays, in a charming mix of old and new, specific to the colonies where the works of different eras and origins influence each other naturally. 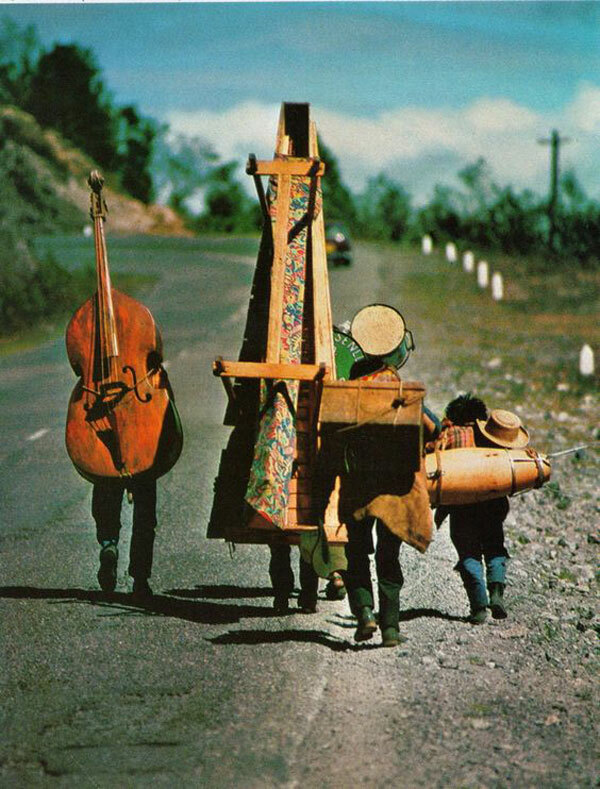 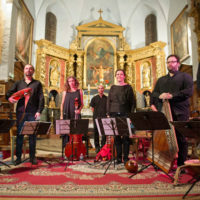 The ancient Cuba resonated in a rarely heard, joyous and solar repertoire, inspired by the sounds brought by the conquistadors, Italian music in vogue all over Europe and French music, coming from the nearby Hispaniola. 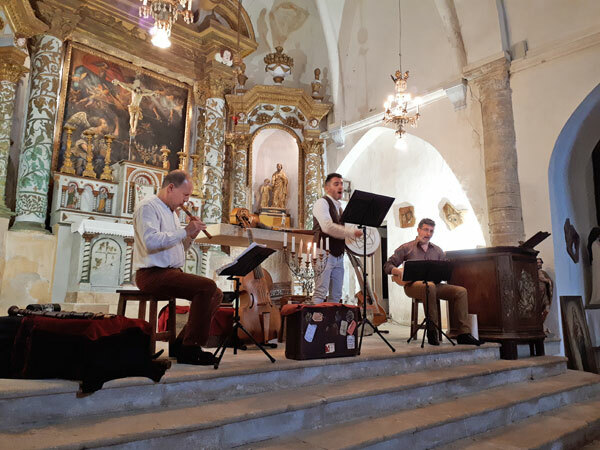 The place of honor in this concert was held by Esteban Salas (1725-1803), first Cuban composer whose work was available to us. 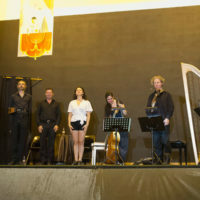 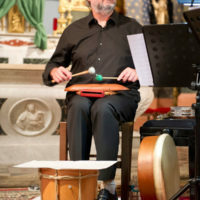 On Friday, July 20, Mr. Raymond Gras, Mayor of Montferrat, welcomed the music lovers of the Festival de Musique Ancienne de Callas at the cultural center of Montferrat for the very original concert of the Musicians of Saint-Julien in a repertoire of Irish music that, embodied in a language, dances and emblematic instruments, is also bearing the imprint of an island poetry and a turbulent history, which has shown in this jubilant and bewitching program of great Irish names from the seventeenth and eighteenth centuries, enlivend by dances. 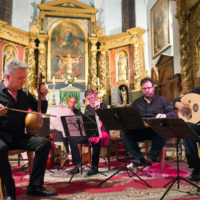 Lullabies, bard songs and hymns to nature tell and dance love, infidelity, seasons but also occupation and exile, brilliantly interpreted by the Musicians of Saint-Julien with period instruments. 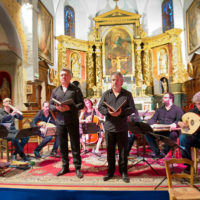 The Church N. D. de L’Annonciation of Châteaudouble hosted on Tuesday, July 23rd a musical course of the Wandering Jew, ranging from the biblical incantations of the year 33 to the Klezmer dances through a crowd of composers – Jewish or not – but all inspired by Jewish music or by great characters of Jewish history. 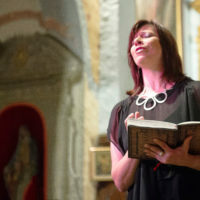 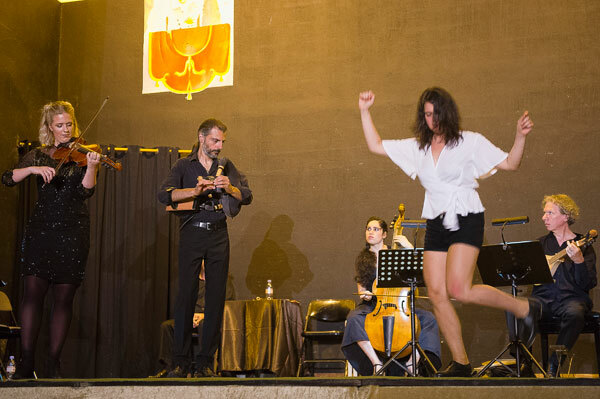 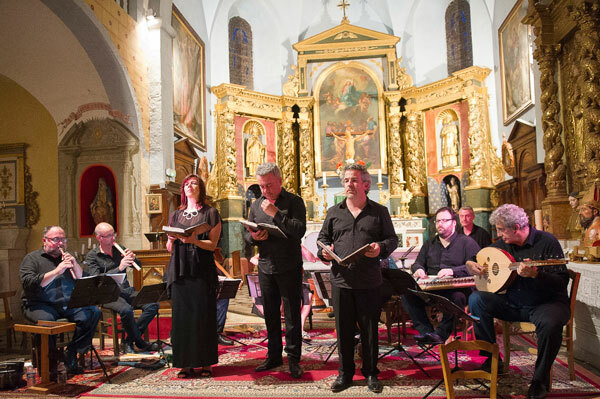 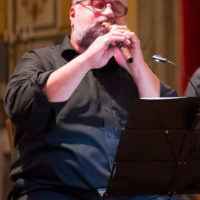 Mixing music, poetry, humor and hope, the unusual and curious program, far beyond the borders of the Baroque, proposed a Way of the Cross in 14 stations, a musical diaspora in 7 chapters or sequences, reflecting some 2,000 years of a people in motion. 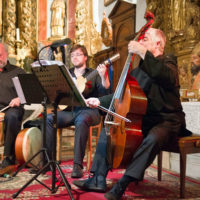 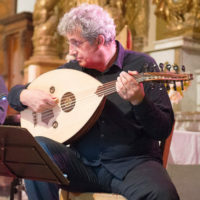 Served by three itinerant musicians, polyinstrumentalists and singers, the legend of the Wandering Jew has mingled with the story of a Mantuan melody that has passed through the centuries to finally become the hymn of Israel. 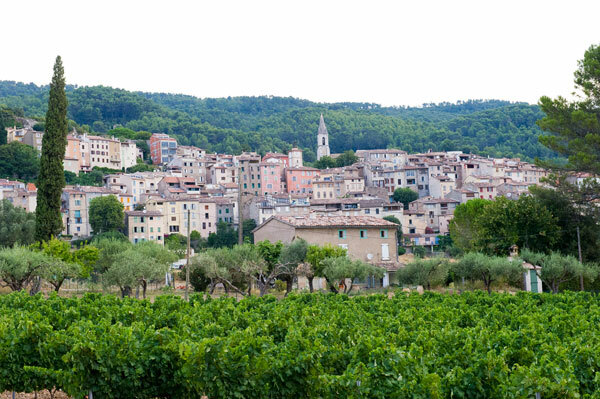 A few kilometers from the Muy, surrounded by a terroir dedicated to the vine, Callas is a first charming stage on the way to the Gorges du Verdon. 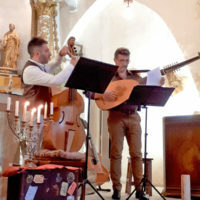 The village owes its notoriety to the famous Hostellerie des Gorges de Pennafort and its starred chef Philippe Da Silva, a haven of peace and gastronomy overlooked by the Chapel of Pennafort, the place of an annual pilgrimage in an exceptional landscape. 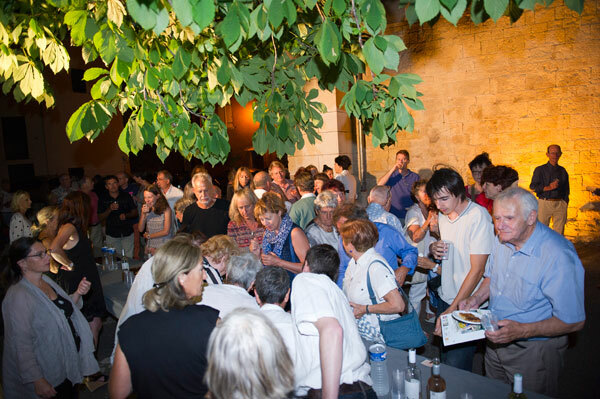 Besides its quality restaurants, gastronomy and lifestyle are also well represented in the village: the Moulin de Callas is pressing a renowned virgin olive oil, Gold Medal in Paris. 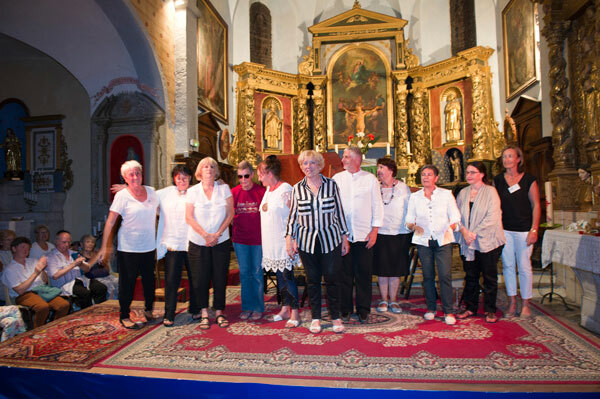 Gold Medal also for the Balsam and Trois Bois Vinegar from the Clos Saint Antoine vinegar factory. 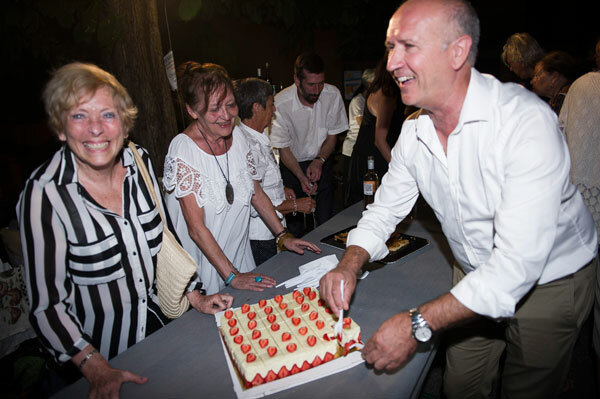 Finally, just as famous, the wines from the Bastide du Plan, Gold Medal also, are sublimating the dishes of the gastronomes of the region. 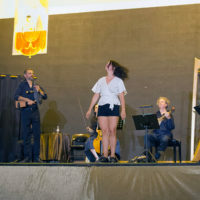 The closing show was followed by a tasting of local Rosé wines as well as delicious pies and strawberrycake, creations by Clothilde Pâtisserie, where Clotilde Lebec is sharing her passion for sweet treats Rue Saint Eloi in Callas.